Deep Silver reveals new release dates for post-apocalyptic shooter, Metro: Last Light. In the wake of THQ's unfortunate collapse, its many intellectual properties were put to auction and sold to a variety of parties. One title that changed hands was Metro: Last Light, the sequel to 4A Game's Metro 2033. After being sold to Deep Silver, a subsidiary of Koch Media, little was revealed as to what would be done with the game or when it would finally be making its way to fans. 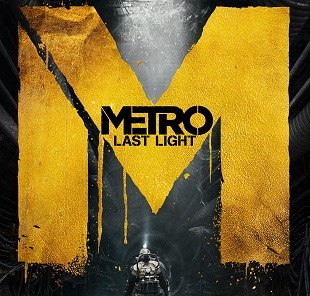 Deep Silver has announced that Metro: Last Light will be coming to North American store shelves on May 14, 2013, followed by a European release on May 17th. This is a two month delay from the original March launch planned by THQ. "The new release date is the ideal way to strike the balance between bringing the best out of Metro: Last Light and not keep the fans waiting longer than necessary," said Dr. Klemens Kundratitz, CEO of Koch Media. "We won't leave the time unexploited and will work closely together with 4A Games to make the game even better. It will receive all the attention it deserves." The original Metro 2033, based on a Russian novel by the same name, was well regarded by many for its dark, often horrific atmosphere. That said, it drew a lot of criticism for its rougher edges, with some feeling the game hadn't lived up to its full potential. Updates made available since its initial release fixed some of its problems, but it still never grew to the popularity enjoyed by other first-person shooters. While it's unlikely that Metro: Last Light will attain Call of Duty levels of success, if it can correct its predecessor's mistakes while expanding on the things the original did well, it could have the makings of a modern classic.